Area 51, a.k.a. Dreamland, Paradise Ranch, Home Base, Watertown Strip, Groom Lake or Homey Airport, is a military base in Nevada that the government has never been too keen on acknowledging. 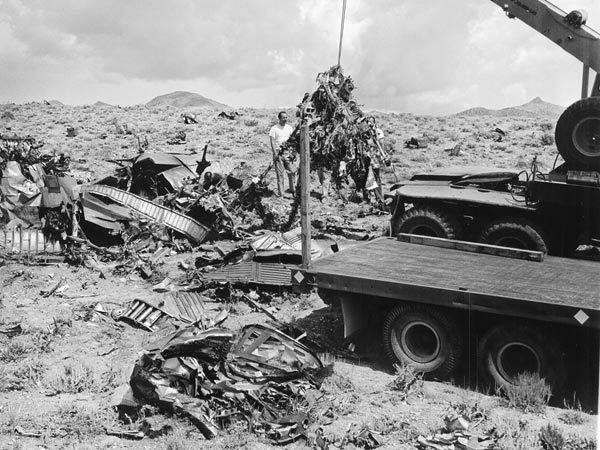 So when the very secret A-12 spy plane crashed in 1963, the feds rushed to cover it up. But now those images have been declassified by the CIA, and National Geographic has posted them for all your commie eyes to see.